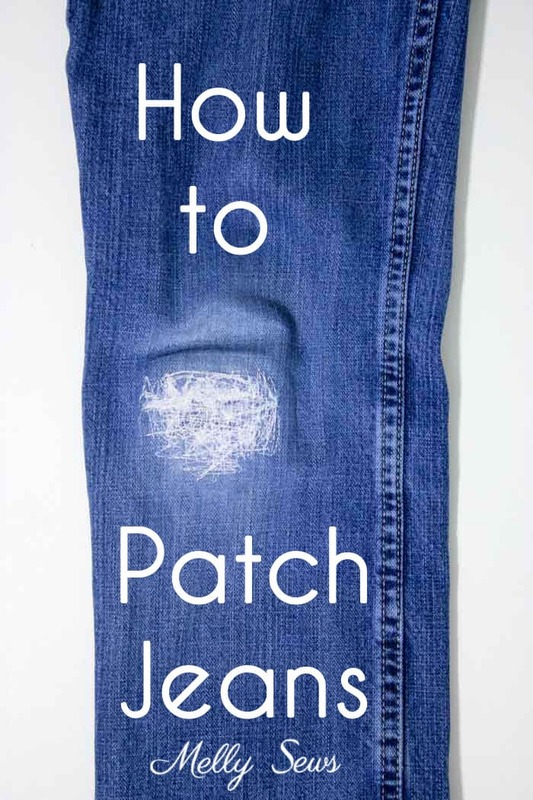 Hey y’all, for today’s mending tutorial I’m going to show you how to patch jeans and still keep a distressed look. I know, it’s kind of a contradiction, but here’s the deal – I hate cold knees. And with my boys, once they tear holes in the knees of their jeans, if I don’t patch them, they make the holes bigger and bigger and scabby knees follow close behind. 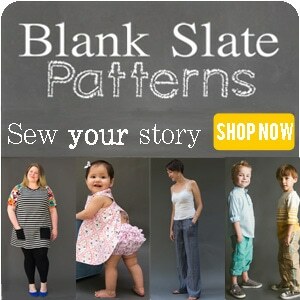 So this is 1) pretty easy to do and 2) still looks distressed for the fashion conscious. So I made a short video of the process, which you can watch here on YouTube if the video below doesn’t load for some reason. The first step, seam ripping the side seam, only needs to happen if you can’t get the hole area flat on your sewing machine. If the hole is in the upper thigh, for instance, you might not have to seam rip. If you do, look for the side without the topstitching, so you can avoid having to redo that. Next, add a scrap piece of denim (a good reason to save cut off legs), and then cover it with a piece of fusible interfacing. Fuse the interfacing to hold the patch in place until you get the stitching done. Next, I use a free motion (affiliate link) presser foot on my machine. If you don’t have a free motion foot, you can use your regular presser foot, but you’ll need to reverse stitch and turn the patch much more than you do with a free motion foot. A free motion foot doesn’t quite touch the fabric, and therefore the feed dogs don’t pull it through. So place you hands on either side of the hole, and use your hands to move the fabric up and down in a zig zag, moving the zig zag across the hole and just beyond the borders of the hole. Go left to right and right to left, maybe a couple times. Then use your hands to move the patch side to side, top to bottom and bottom to top. Also – crazy as it may sound – the faster you stitch, the easier it is to move the fabric while you’re using this type of foot. That’s why I use the interfacing to hold the patch in place instead of pins or some other method. So above I drew a very rough diagram of what you’re doing with the thread – just know that you want to overlap a lot more, and maybe even go diagonal a couple times so that the patch looks like the one below. 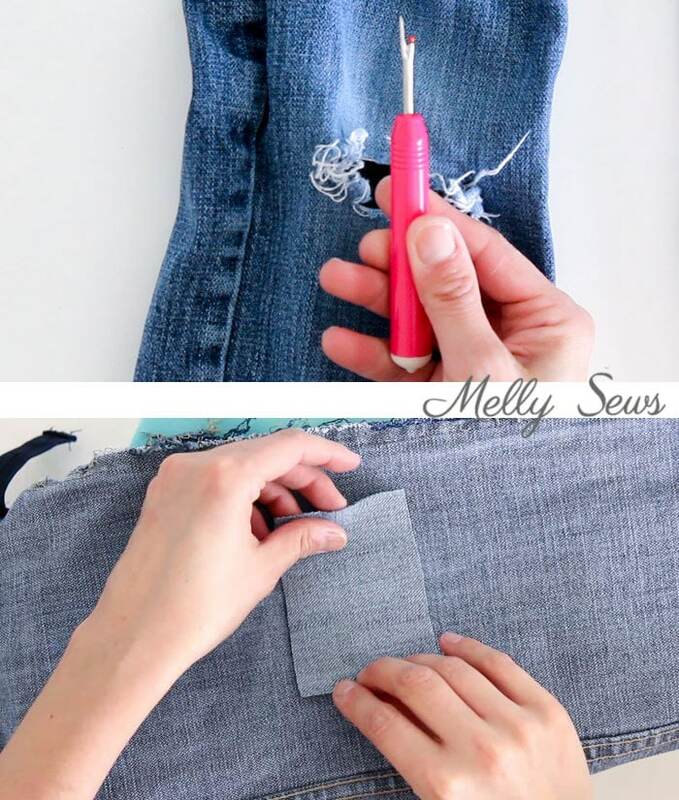 Once you’re done stitching, trim off the excess denim and interfacing beyond the hole, and re-sew the side seam if you opened it. Thanks so much for this tip! A group of sewing friends and I do mending once a month for residents of a local homeless shelter. 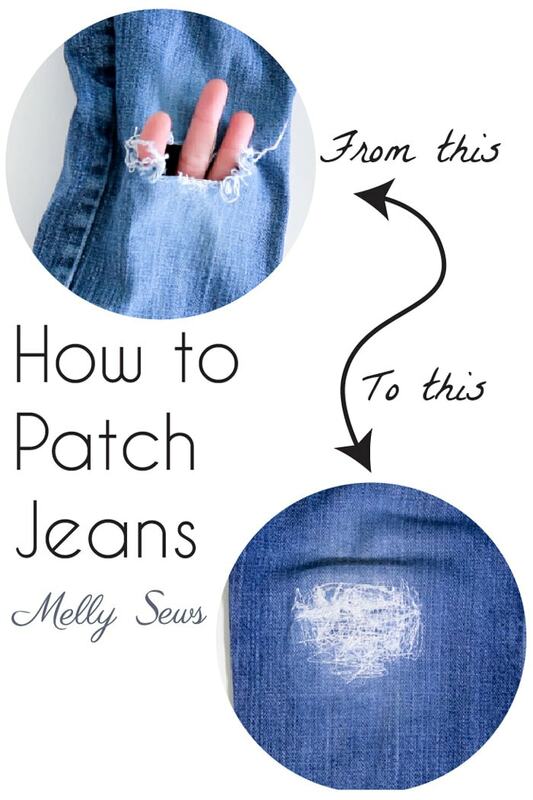 Can’t wait to share this tip, as we get lots of holes in jeans. 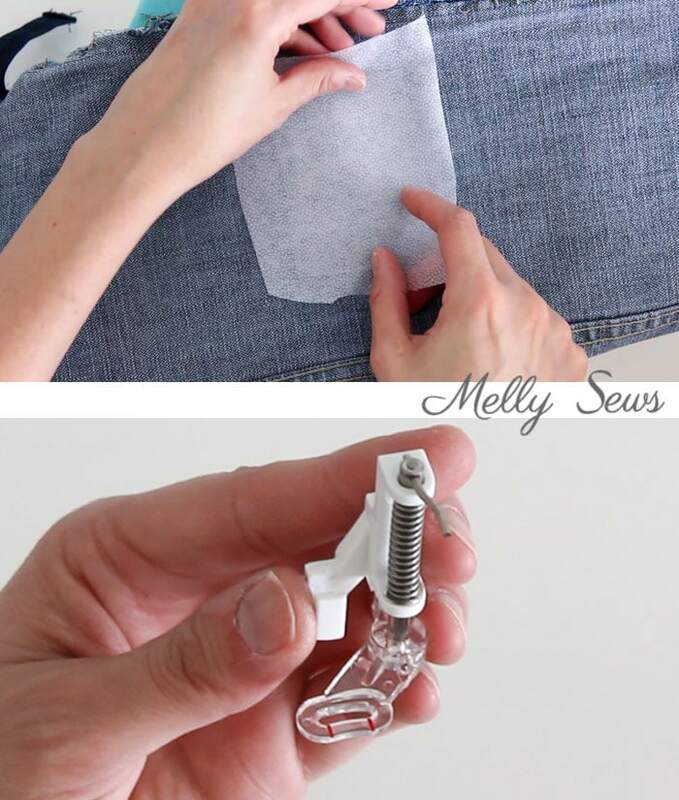 My goodness…I’ve been sewing for 40 years, and it never occurred to me to open the side seam to make mending the knee easier. Thank you for the tip! 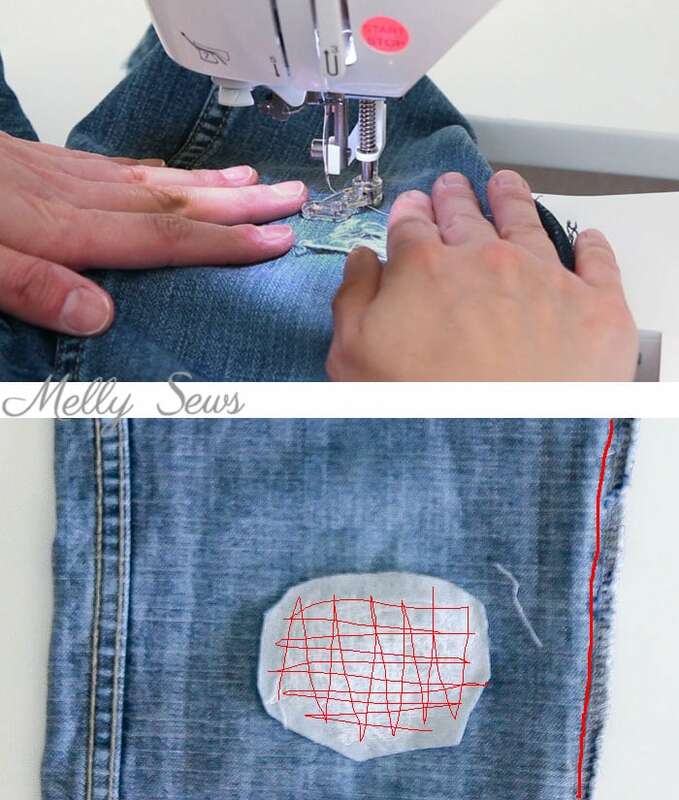 I too have sewn for years an do lots of patching on my son’s jeans and have never considered opening up the side seam to patch holes in the legs. GREAT tip. This worked so well my holes were getting out of control. 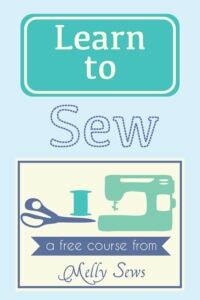 Since I couldn’t find this post I tried by memory and just used the interfacing still worked – thank you !